San Francisco, CA, October 26, 2016 – Smarking, the parking industry’s leading provider of data analytics software, and Parkmobile, the leading provider of mobile-enabled parking and mobility-related services, announced today an official partnership and integration. Through this partnership, the two companies hope to empower their mutual client base with cutting edge data analytics software. Smarking, Inc is an MIT spun out data analytics company that specializes in aggregating and visualizing parking related data. The web based software enables parking managers to understand meaningful performance statistics for all on- and off-street parking assets, regardless of the system. Smarking clients are able to use the software to gain a holistic understanding of how different demand segments interact with available inventory and analyze trends with respect to demand variance by time of day, location, week, month, or year. Parkmobile clients are now able to integrate their data into a Smarking dashboard via an API, the safest and most effective method to transfer data between two institutions. “Having just rolled out mobile payments in Walnut Creek, the Smarking/Parkmobile integration has been extremely valuable to us. We are able to track user adoption by location and make targeted decisions around what regions to focus our adoption efforts” said Carla Hansen, Parking Manager at the city of Walnut Creek. “Parkmobile is pleased to be working with Smarking and support our clients’ needs for more actionable parking data. 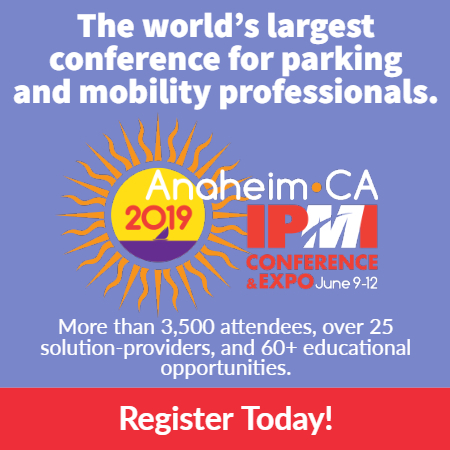 Having the ability to visually see where Parkmobile adoption is highest, where the largest transactions take place and how parking occupancy varies throughout the day helps our clients gain a clearer understanding of their current parking environment, streamline their operations, and identify potential new revenue opportunities,” said Jon Ziglar, CEO of Parkmobile. Smarking is a technology company that specializes in working with parking data. By aggregating and processing parking related data, Smarking provides a holistic business intelligence software platform designed to increase operational efficiency and enable data driven decision making for parking operations. For more information, visit us at www.smarking.net, on Twitter @SmarkingInc. Parkmobile, LLC is the leading provider for on-demand and prepaid mobile payments for on- and off-street parking. Their services have been adopted in more than 2,000 locations, including 36 of the top 100 cities in the U.S. by millions of registered users. Parkmobile’s services include on-street parking, off-street parking deck, airport and event reservations and municipal parking permit solutions. Parkmobile serves over 20 airports as well as provides reserved parking solutions for private operators, the Super Bowl, the College Football Championship Series, Fenway Park and Nationwide Arena, to name a few. For more information, visit us at www.parkmobile.com, on Twitter @Parkmobile, or facebook.com/Parkmobile.